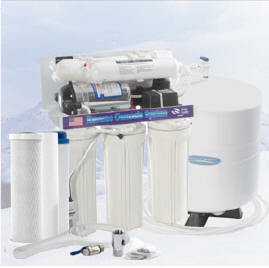 Both city water and especially reverse osmosis tend to be more acidic water than is healthy to drink. City water is often acidic from the chlorine, fluoride and other chemicals added at the treatment plant. 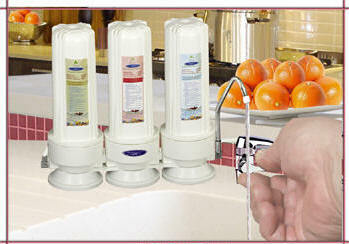 Of even greater concern, RO water has had most of the minerals removed, the bulk of which are alkaline. Further, many people have overly acidic biochemistry, an unhealthy condition hospitable to invasive micro-organisms, cancer and other illnesses. Such acidity problems may be overcome with our Corrected Water re-mineralizing alkalizer cartridge. Particularly when the source water has a pH of 7 or less, the re-mineralizing alkalizer is available to correct the water. It is recommended that you test your water as well as your urine and saliva with pH tape or strips (litmus paper) or another method to determine if the re-mineralizing alkalizer is needed to correct the water.